You all know spring is a sham in Minnesota, right? A downright lie. Because when the calendar declares the first day of spring somewhere towards the end of March, we still have at least two solid snowstorms left. 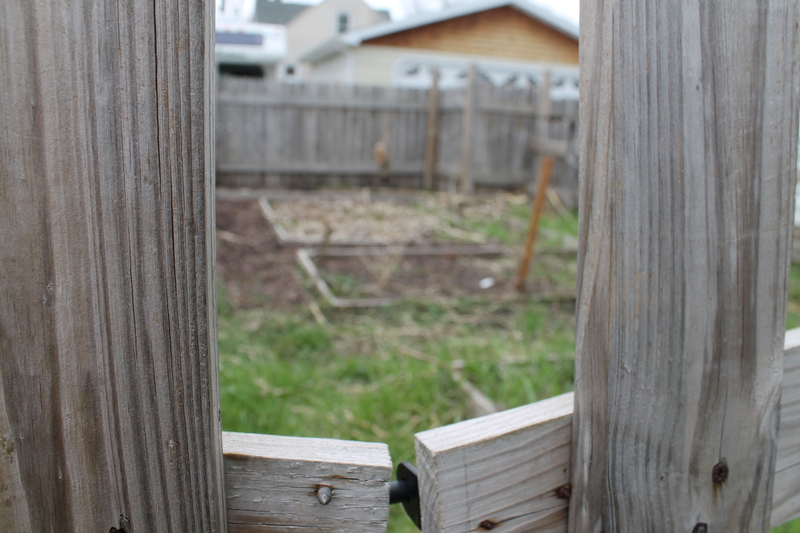 When my gardening magazines encourage the harvest of spring greens and radishes, my backyard growing plot is still hard as a rock. And when a freak 70 degree day shows up in March or April, I always swear off my winter coat. Then I sheepishly pull it out of the closet when the next day the temperature dips below 30. But then there are the signs of hope. And this weekend, I found them in my garden. Which, let’s be honest, is a disaster zone right now. But if you look past the rogue grass (which, by the way, turns into a thick carpet in the garden but is sparse in the actual yard), the pale and dry squash vines from last year and the pieces of fence hanging on for dear life, you’ll find the best thing ever. Something to eat. Hello, old friend. 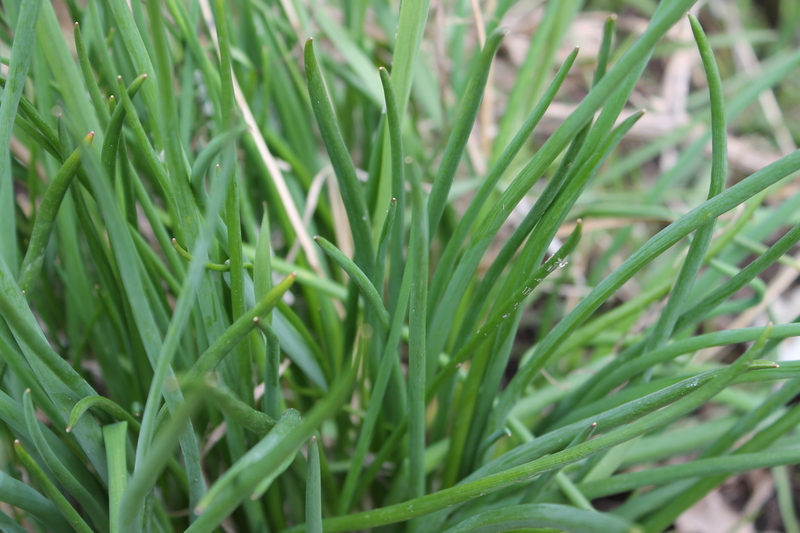 The chives pop back to life with no encouragement. In a perfect bunch, green and crisp. And so begins the season of sprinkling them on just about everything on my plate. 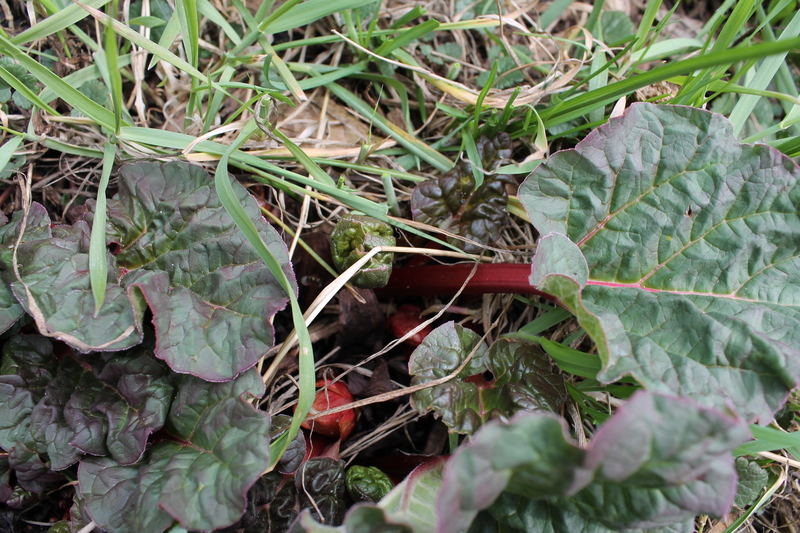 That glorious rhubarb. 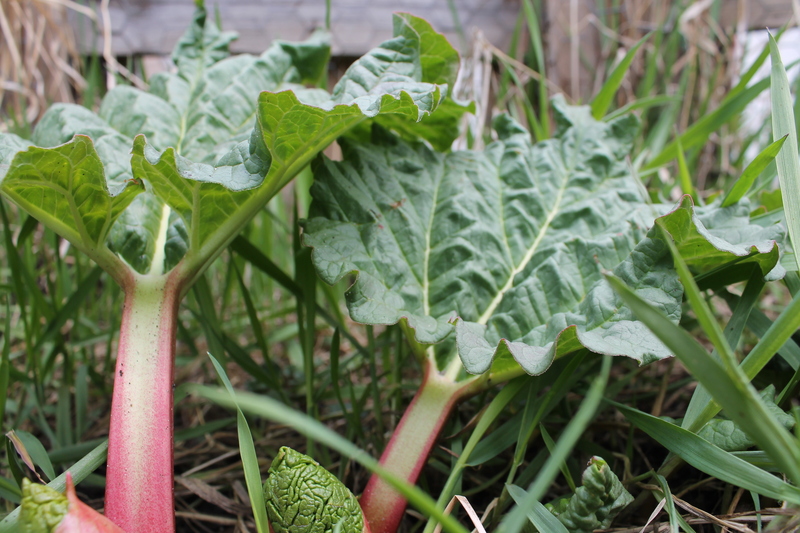 My first memory of rhubarb comes from my aunt and uncle’s home on a lake in Northern Wisconsin. We would spend a week there most summers playing in the water, fighting off bird-sized mosquitoes and sucking on rhubarb stalks we’d find outside. 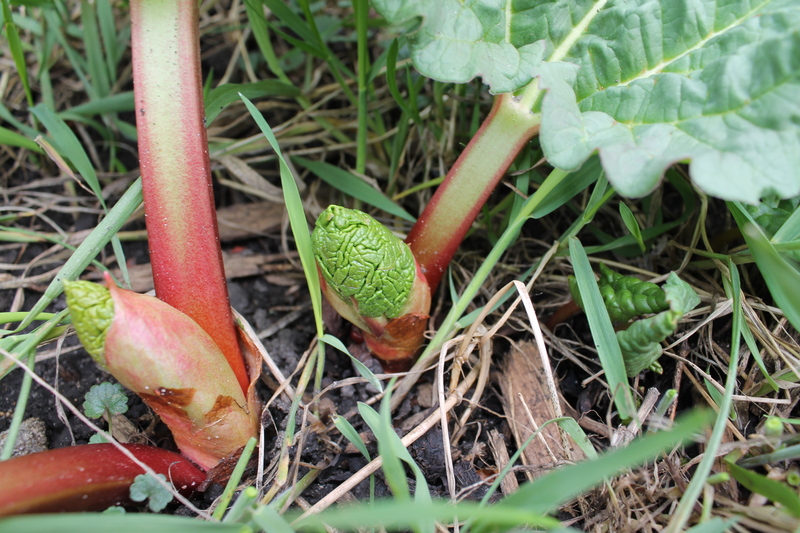 I love seeing the leaves curled up inside the stalks like mini cabbages getting ready to fan themselves out. Here’s hoping the last snowstorm is behind us. 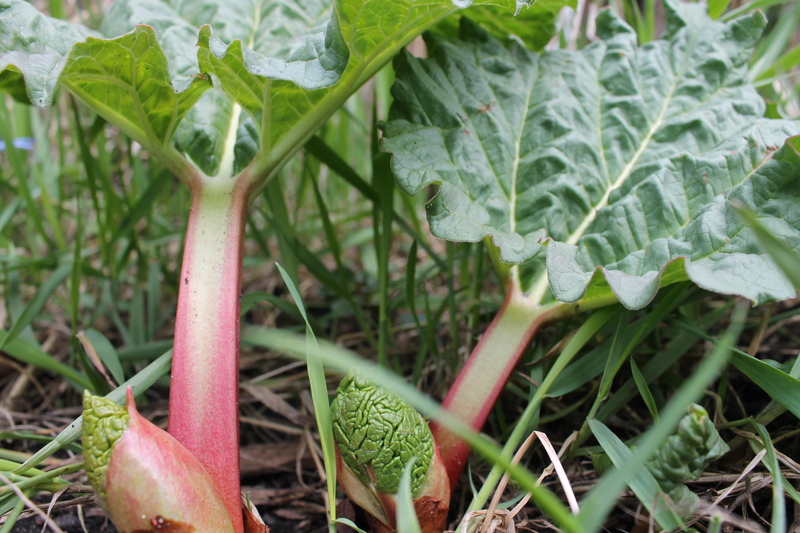 What do you do with your Rhubarb? I have tons and it seems there has to be more than pie? 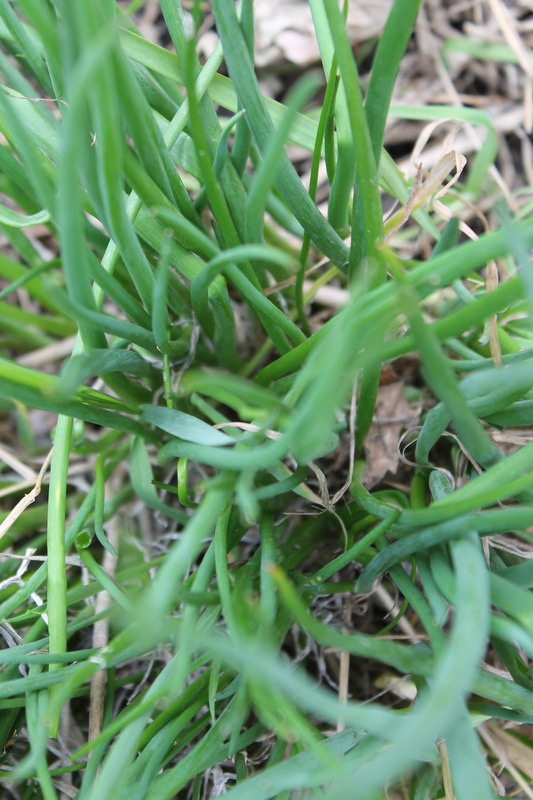 I just noticed the chives popping up in my garden too, amidst the mess I haven’t been able to clean up yet. Thanks for the update! How have your hens survived the winter! I laid the foundation for my coop to be delivered next weekend. ETA for my four pullets is May 13… We are so excited! That’s so exciting!! Love it! Make sure your coop is solid, keep it lined nicely with straw/pine shavings and make sure your heat lamp stays on throughout the winter and they will be just fine! 🙂 Can’t wait for you to get those first eggs…it’s just the best! Thanks, Elizabeth! I was especially tickled by your parenthetical comment about the grass. What’s that about?!? I have great grass growing up through rocks; in the garden; beside the iris stalks coming up; but, not in the small area of lawn I cleared of creeping charlie last fall; covered with dark dirt; and in which, I planted grass seed. Very sparse there… 🙂 Thanks for the smile. The signs of Spring are slowly coming around here in my little garden too. I swear if one more person says “we need the rain”!!! and yes, I have put my Winter coat away–for good–3 times now! Chicken cam is stuck.. It is 3 pm. and the cam says 5:58:58. Just wondering if you let your chicken out when it rains?? Cause the door is shut?? You mentioned on TCL about the hunting school for your pup – how did that go? We are looking for one for our springer spaniel. Would love the recommendation! Gracie goes to West Country Kennels in Glencoe and we are really happy with them! http://www.westcountrykennels.com/ They had several springers there when we dropped her off and picked her up. The team there is really nice and the facility is great! Hope that helps!